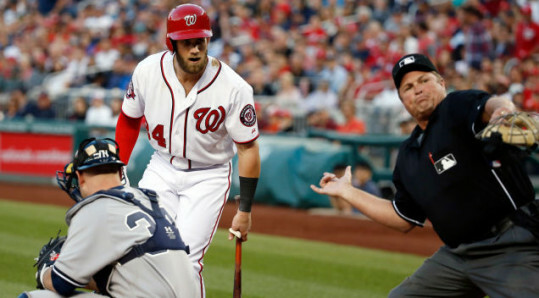 A few days ago, knowing that my grandson Eli was not yet reading MillersTime.net religiously, I read him my post about his 22-year-old hero Bryce Harper of the Washington Nationals. Little did I realize that four-year-old granddaughter Abby was also listening to the story of Harper’s ejection by the home plate umpire. Later that night I got a text message from their mother. 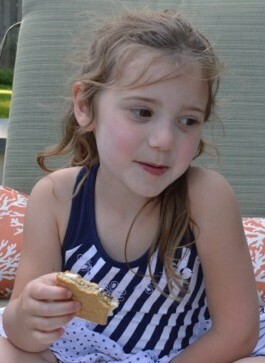 Abby tells me that Harper got in a fight with the vampire and got kicked out of the game. I know I haven’t seen you in a couple of weeks. I’ve been traveling a bit and was with your Auntie Elizabeth in California, Oregon, and Washington. We got to see three Red Sox games, and they won two of the three. Not too bad. Then when I returned, your Washington Nationals were playing two games against that *#!^x* Yankee team. So, of course, I had to go to those two games, Tuesday night and Wednesday night. The Nats won both games by close scores (4-3 and 3-2). In fact, the Nats are playing really well and with the victories over the Yankees they are now in first place in their Division. That’s pretty good because in their first 20 games, they only won 7 and lost 13 and were in last place. Then, in their next 21 games they won 17 and only lost 4. So they have gone from last place to first place. And your favorite player, Bryce Harper, has been a big part of both their losing at the beginning of the season and winning now. In fact, he is now doing so well he has been named “Player of the Week” two weeks in a row. That rarely happens. But he’s been “on fire”, hitting lots of home runs, knocking in runs, and getting on base with a lot of walks. But that’s where there’s a bit of bad news too. 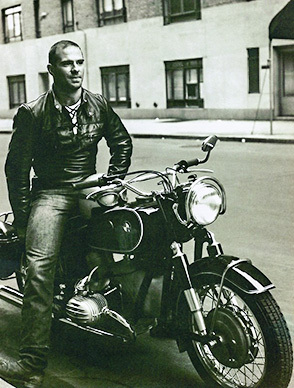 "A General Feeling of Disorder", "A Leg to Stand On", "Awakenings", "My Own Life", "On the Move", "The Mind's Eye", 'The Many Who Mistook His Wife for a Hat", author, neurologist, Oliver Sacks, Uncle Tungsten"
If you ‘know of’ Oliver Sacks, have read one or more of his 12 previous books, then the picture above might be a bit surprising to you. Usually, the pictures we see of this neurologist/author portray quite a different image. 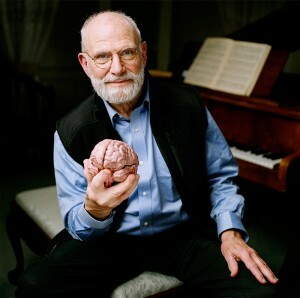 As you may know, Sacks is a prolific writer, using cases from his work with a variety of patients to describe a world that most of us do not know, a world where anomalies of the brain lead to behaviors and lives that often seem strange, at least until Sacks explains them to us. As you also may know, Oliver Sacks is dying of terminal cancer, as he announced in an eloquent and affecting NYTimes column, My Own Life, three months ago (although since writing that piece in February, he wrote a second column in April, A General Feeling of Disorder, NY Review of Books, and seems to have ‘rallied’ and may be with us for a while longer). I have long been intrigued by Sacks’ work, his writings, his findings, and by the man himself. Thus, when his 13th book, a memoir, On the Move: A Life, was published several weeks ago, I, of course, read it immediately. Some of what we read in this memoir is familiar as he has written about himself previously (particularly in his Uncle Tugsten and in his A Leg to Stand On). We know he is a doctor, a scientist, an author, and above all an advocate for (our) understanding strange behaviors and listening to the lives of (his) patients. But there is much that is new also. Every so often, usually when I’m feeling particularly guilty about overly enriching Amazon by purchasing ‘Kindle’ books, I go to Washington’s independent bookstore, Politics and Prose, to buy a couple of hardback books. 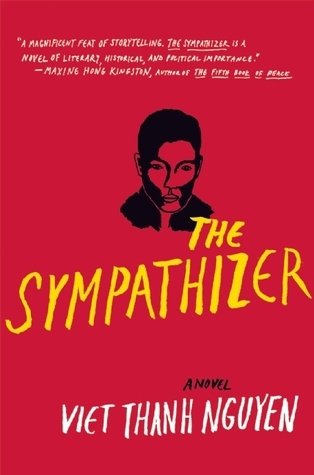 I read, actually consumed, The Sympathizer first and wanted to write about it, but I noticed the author was coming to Politics & Prose for an author talk and decided to wait until I saw and heard him in person. That happened Wednesday night. I thought about keeping this place a secret, so it wouldn’t get too crowded. 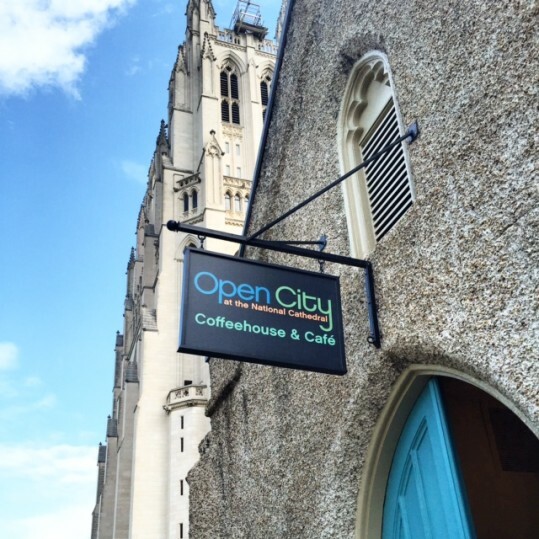 Thus, with some trepidation, I draw your attention to a gem in DC (good for those who live here and for those who visit too). Readers of MillersTime often say they don’t live in an area that has all these small films I frequently review/preview. Generally, there is enough written about the mainstream, popular movies so I see no need to add to that chatter. Here are two films, one of which is in the larger theaters now, Woman in Gold, and one, Testament of Youth, that will be released by Sony Pictures in the US on June 5th and will, I hope, get wide distribution. Both films have to do with fall out from war, WWI & WWII. Both films are based on true stories. 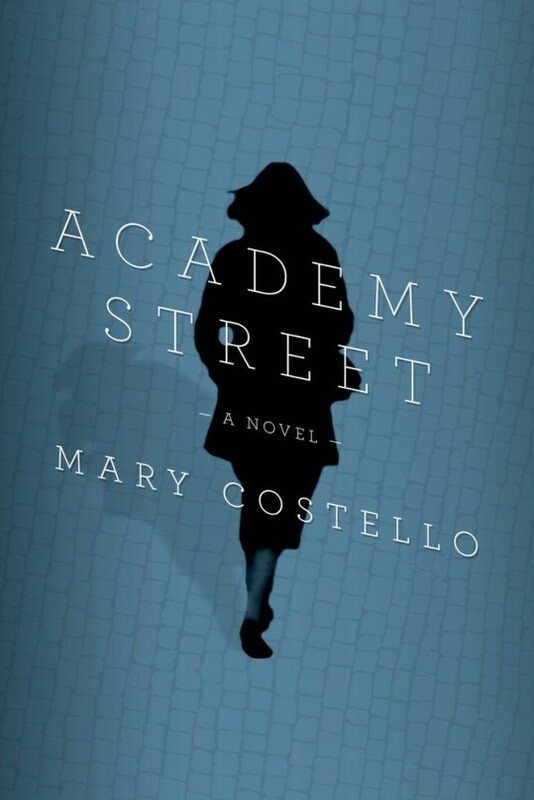 Rather than wait until the December posting of favorite reads, let me draw your attention to an author and a book I recently found delightful — Mary Costello’s Academy Street. This first novel is quite short, 146 pages, but somehow this Irish writer has managed to pack a full life into the story of Tess, an Irish woman who comes to live and to stay in America after spending the first part of her life in Ireland. Initially, Academy Street reminded me of a favorite read of a few years ago, Colm Toibin’s Brooklyn, also a story of an Irish immigrant (female) who comes to America. But in the short time it took me to read Mary Costello’s lovely gem, I thought of another favorite, John Williams’ Stoner, also a portrait of a person’s whole life. Both Williams and Costello seem to ask the question of the value of their main character’s entire life. Thomas Wolfe, it turns out, is not entirely correct. Though, in this case,”Home” has moved two blocks (three minutes walking or 52 seconds by car). 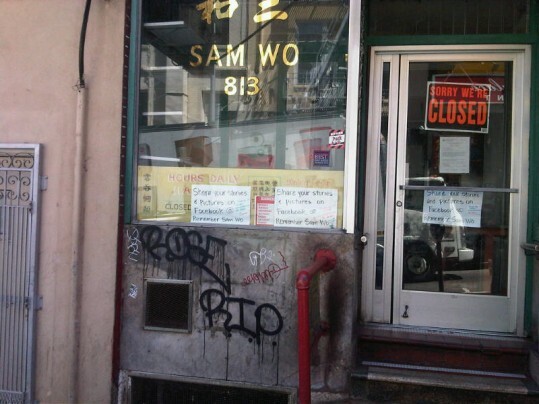 Sam Wo’s is coming back. Maybe as soon as this summer.